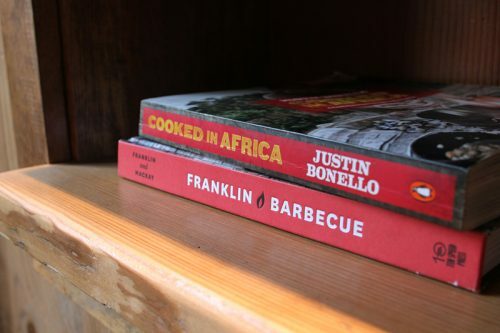 ANDREW DUNLOP IS THE FIRST TO ADMIT that South African BBQ, which his Lincoln Square restaurant Baobab BBQ specializes in, doesn’t actually exist as he does it. That is, South Africans have the braai, which is a form of grilling, but what he’s doing has less to do with that than with the kind of low-and-slow barbecue typical of the U.S. south. 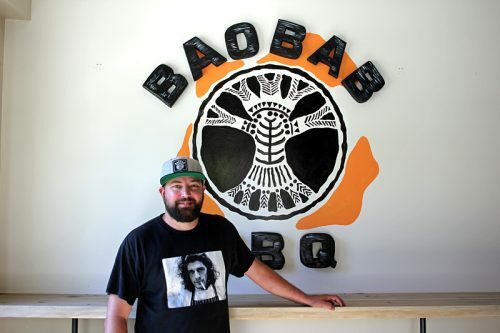 He considers what he’s doing at Baobab BBQ, mixing American BBQ with South African flavors, a quintessentially Chicago approach to food, from someone who’s a quintessential Chicagoan. Which is to say, someone born half a world away, but resident here for almost half his life. 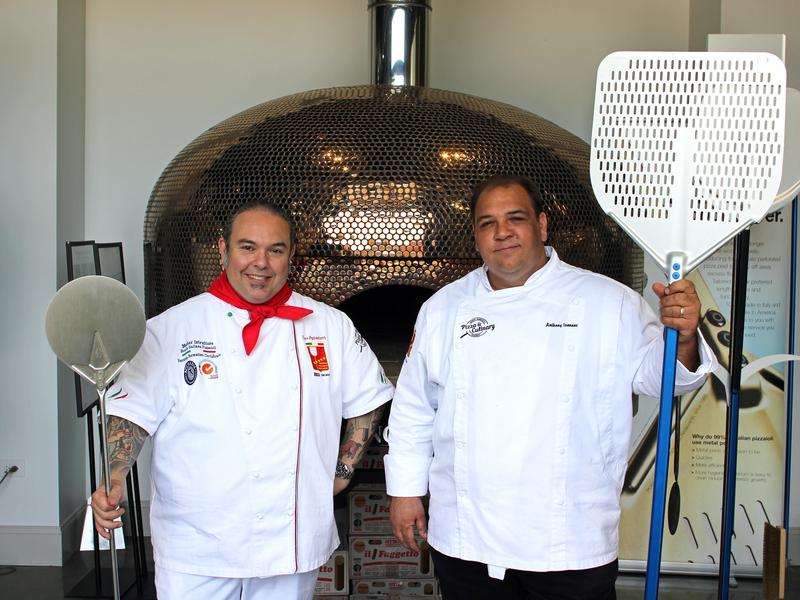 “We have no allegiances to barbecue here. 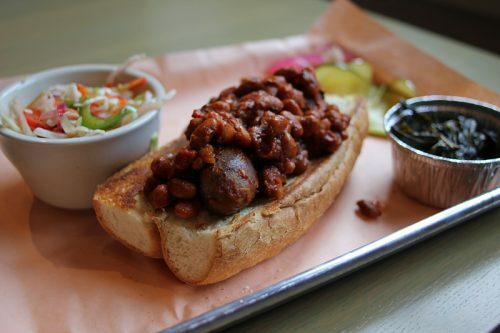 There’s no such thing as Chicago barbecue,” he says, in the unmistakable broad, rangy accent of his native land. 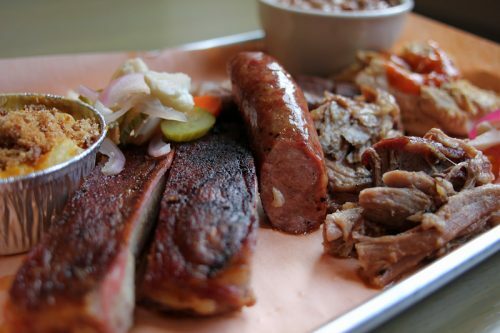 I would argue the point re: south side barbecue (and have), but I know what he’s getting at—all the well-known barbecue places on the north side, like Smoque (“I wouldn’t say I’m trying to copy them, but I look up to them”) are places that synthesize regional styles, putting Memphis pulled pork and Texas brisket side by side with Kansas City and Carolina sauces. Then South Africa enters the picture. 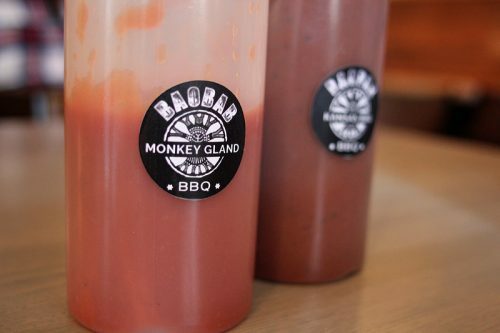 Most obviously in the form of Monkey Gland sauce—a tangy fruit chutney-based barbecue sauce. 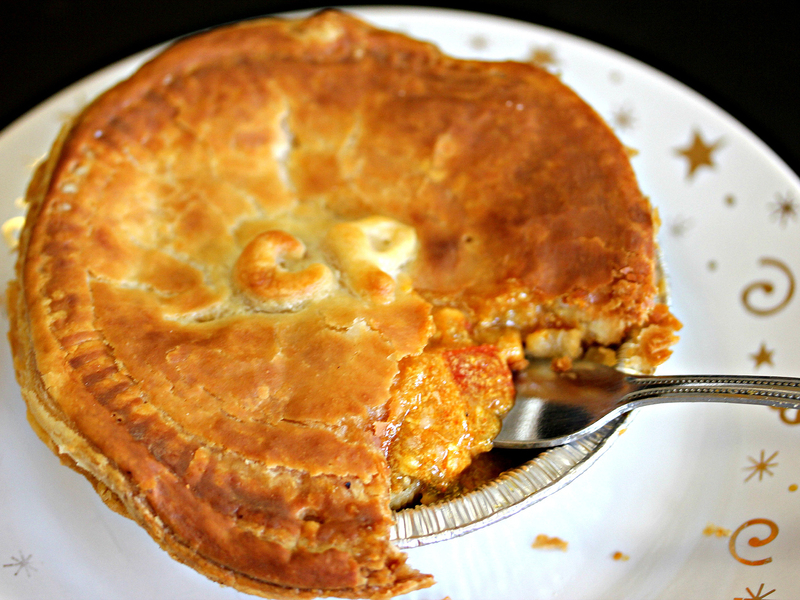 His rub uses the bird’s eye chili—known in South Africa as the peri-peri, examples of which grow in the window boxes outside. Poke around the menu and you’ll see biltong (a South African beef jerky—”a high protein product, very good for you,” Dunlop says), a boerewors sausage on a chakalaka bun with beans (I added Monkey Gland sauce, and don’t try to tell me you never put Monkey Gland on a boerewors), and desserts like melktert (a runny custard with cinnamon, simple and delightful). The decor, including a logo of the baobab tree and a rough wooden wall made of a repurposed picket fence, suggests the welcoming informality that Dunlop wants his place to represent. We only saw America on TV, and it was the absolute pinnacle. So I wasn’t going to pass that up. “WHEN I LEFT IN ’97, THERE WERE A MILLION South Africans in London—and the first thing you do when you get off the plane is go to a South African pub. It makes no sense,” he laughs. He worked for Kevin Hickey at the Four Seasons—”That was eye-opening to me in terms of service, and offering a product that was so much more than just food.” By then he had kids, and looking for more family-friendly hours, he spent nine years working for a private club, the Chicago Club. For barbecue, he settled on a CookShack smoker, using wood pellets to add flavor, which is installed just outside the back door in the kitchen. “It’s a phenomenal smoker,” he says, though he can’t show it to me—at this point, a couple of weeks before opening, it’s still in his backyard as he’s getting the hang of it there. Brisket will spend 14 hours in the smoker, with ribs taking about 4 and chicken 3-4 hours. The full kitchen includes a grill, which he’ll put to use on chicken in particular—”Smoke it part way, finish it to order on the grill, because you don’t get a good texture on the skin from just smoking,” he says. “The community has been wonderful. 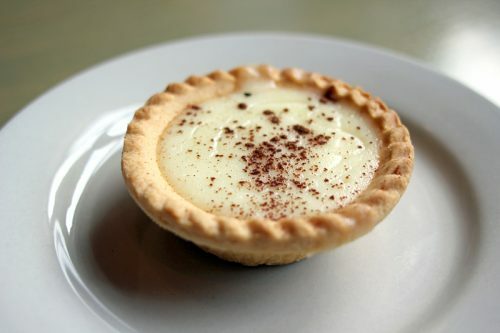 We’ve had so many people come by and say, we’ve been waiting for this. 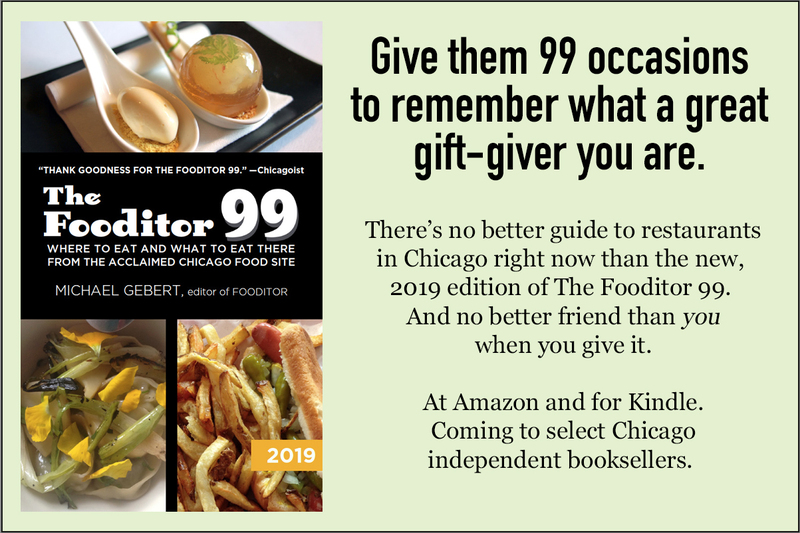 My biggest hope is that we show our appreciation to the neighborhood, and really give them something they can be proud of.” No matter how far it’s come, from all around the world, to get there. 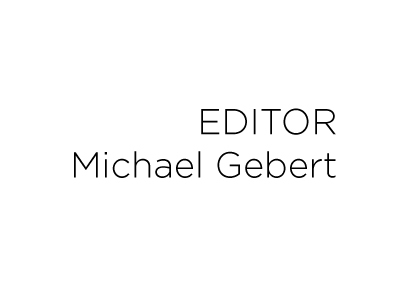 Michael Gebert is fundi of Fooditor. 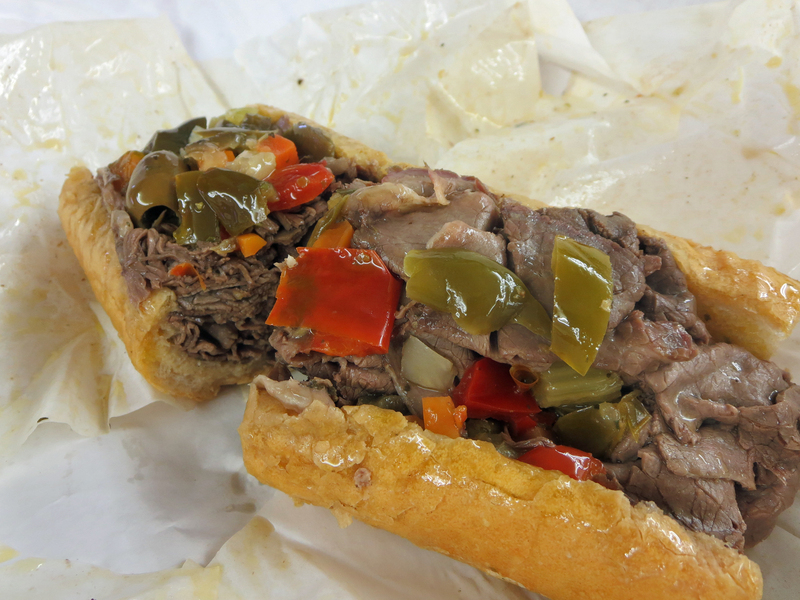 IS CHICAGO’S CLASSIC ITALIAN BEEF AN ENDANGERED SPECIES?